Updated The BBC will post the third in its series of free, downloadable Doctor Who games "soon", the Corporation said today. 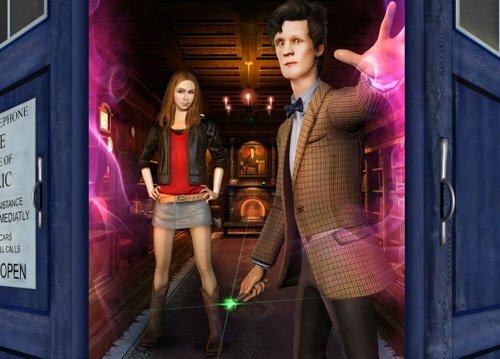 The third episode in the series of Adventure Games, the as-yet-untitled download sees the Doc swept out into space, leaving companion Amy Pond to explore his dimensionally transcendental time-and-space craft to find a way to get him back. Players hoping for a classic monster to battle - they've already gone up against the Daleks and Cybermen in the two previous episodes - will instead be challenged by two new baddies. They'll also get to fly the Tardis. Out shortly, the new episode will be free to UK residents, while overseas downloaders will have to cough up for the privilege. More details from the BBC's Doctor Who website shortly.